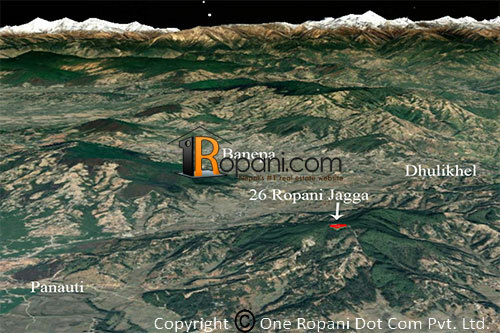 This 26 ropani land is on sale. It is located at height of 1750metres and is the highest point in that area. It is ideal for resort or Gumba as it is located at the top of the hill. A nice view of Banepa, Dhulikhel, Panauti, Namo Buddha and Himalayas can be seen from the land. It is 3 kms from Panauti Bazar and a 18 feet road touches the land. There is also a view tower already been constructed just at the side of the land.